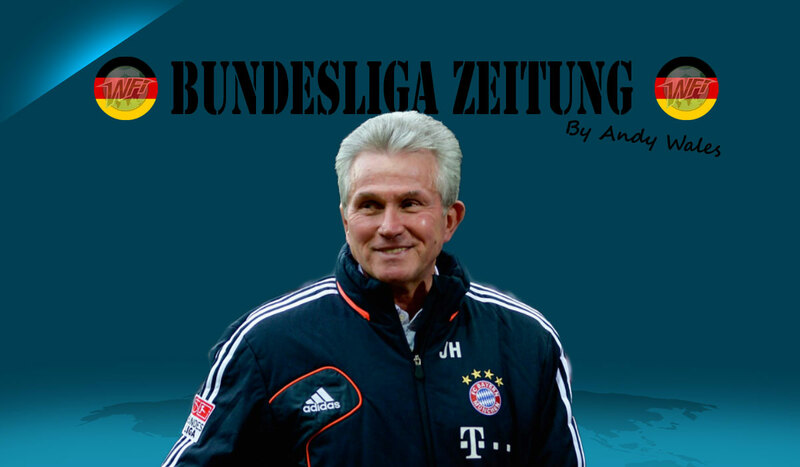 Back in the summer, I predicted Bayern Munich to successfully defend their Bundesliga crown. That was, in all fairness, an easy prediction to make and one that I’m sure everyone else made. 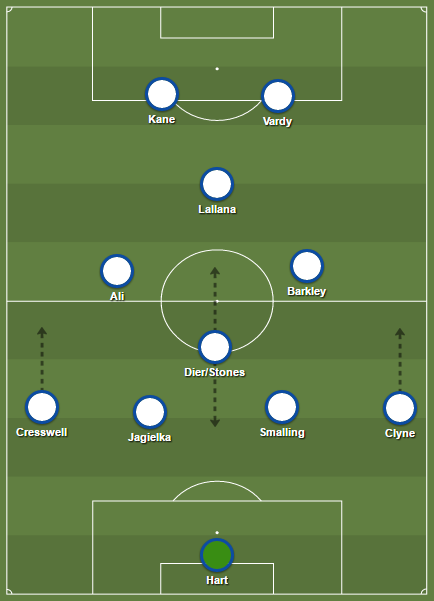 Their team and squad is one of the finest in European football, with an infrastructure and riches to support it. Back in the summer, they were also able to boast the much respected, revered and successful Carlo Ancelotti at the helm of it all. The way their season began, their five year reign of domestic near-invincibility never looked so threatened. There were murmurings of discontent behind the scenes, players looking all at sea on it, two goal leads being surrendered and a humbling in Europe. Some star names looked a shadow of the reputations they had built and Bayern relinquishing their Bundesliga crown was a very real possibility, as was an early exit from Europe. The club hierarchy decided action was needed to be taken and Ancelotti was promptly dismissed. Speculation was rampant on just who would be his successor, with Hoffenheim’s highly regarded young coach Julian Nagelsmann and former Dortmund head coach Thomas Tuchel both linked. In the end, and to everyone’s surprise, the club managed to talk former boss and club legend Jupp Heynckes into coming out of temporary retirement. With that, the course of Bayern’s season changed and they’ve never looked back. Perhaps we’ve become so accustomed to Bayern winning the Bundesliga, often at a canter, that we take it for granted and it dilutes their achievements. Make no mistake, this is a golden era in the club’s history that will be looked back upon in years to come and be revered. Yes, they have a significant financial advantage over their domestic challengers, but they’ve usually spent their money very wisely and in asserting their dominance. The group of players they have amassed and brought through the ranks over the past decade are amongst the best in the world, and rank alongside some of the greats to have ever represented the club. It should also not be understated the job that Heynckes has done since returning. The way he was able to so swiftly turn things around and galvanise a club that was threatening to fracture is testament to his skill, experience and standing within Bayern, and the game as a whole. Bayern sealing the title in early April has come to be expected, but it looked anything but that in September. At the time, it was Dortmund riding high and Bayern beginning to look brittle as Ancelotti’s reign was nearing a premature end. Although fortunes were soon reversed with Heynckes back in the driving seat to bring the reigning champions a sixth successive Bundesliga crown and their 27th in total, the early signs were Bayern are human. Perhaps the hope for their domestic rivals is in that early season form. Bayern have been trying to talk Heynckes into extending his return from retirement, but the 72-year-old resisted, so Niko Kovac, the Eintracht Frankfurt coach who will take over in July, will have to hit the ground running. Couple that with some senior members of the team beginning to age: Manuel Neuer, Arjen Robben, Arturo Vidal and a rejuvenated Franck Ribery are already in their thirties. Add to that, Mats Hummels, Jerome Boateng, Javi Martinez and star striker Robert Lewandowski who all turn 30 this year, and Thomas Müller is 29 in September. All this points to a higher squad turnover required over the next few years and a new head coach to oversee it. Maybe, just maybe, there is hope for the rest of the Bundesliga to break their incredible stranglehold in the not too distant future. Certainly, for opponents, casual observers and the Bundesliga’s marketability, it cannot come too soon. Germany already boasts great atmospheres, exciting footballing and a formative environment for developing players and coaches, it would be nice if the Bundesliga title could be more competitive, to add the cherry on the cake. For now though, Bayern can enjoy a well deserved title after victory at the weekend against Augsburg. It was only fitting that the impressive Sven Ulreich and James Rodriguez were instrumental in the win that confirmed the title. Bayern then went on to hold Sevilla to a goalless draw at home in the Champions League, to confirm their place in the semi-finals. Again this looked very unlikely before the return of Heynckes, but now he potentially stands just a handful of games away from the very same treble he won in his final season before retirement in 2014. Kiev could be the crowning achievement of Heynckes and this Bayern squad. Next week, I will be looking back on a critical Revierderby, with far more than local pride and bragging rights on the line as Schalke play Dortmund. Andy is the author of WFI's regular Bundesliga column, covering all things German football, and host of the Dugout podcast.